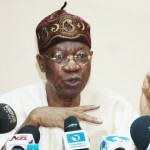 ABUJA, NIGERIA (AFRICAN EXAMINER) – The Federal Government FG Thursday slammed the opposition Peoples Democratic Party PDP and some of its Chieftains for accusing it of stage managing the abduction and release of the abducted Dapchi girls. Suspected Boko Haram terrorists stormed Government Girls Science and Technical College GCSC, Dapchi Yobe State February 19, 2018 and abducted 110 girls. But Wednesday, March 21, 2018, a total of 106 victims were released in three batches, including a boy and girl. Hours later, the Ekiti State Governor Mr. Ayodele Fayose and the PDP Spokesman Mr. Kola Ologbondiyan in separate reactions smashed FG and accused it of faking the abduction, release as well as swidling Nigerians. 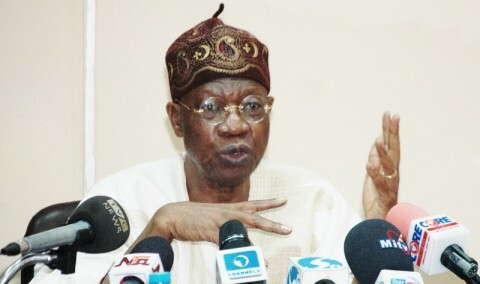 Following this, the Minister of Information and Culture, Alhaji Lai Mohammed in a statement issued Thursday in Abuja, hit that the PDP’s postulation portrays it as an “inhuman, insensitive, unpatriotic and unworthy party”. He indicated that since the release of the girls were negotiated by friendly countries and reputable international organisations; it would have taken a conspiracy of global proportion to have stage-managed the adoption and release of the girls. Alhaji Mohammed snapped that the reaction of the PDP amounts to an expression of sour grapes, as he declared the party failed woefully when it was in power to quickly resolve a similar abduction of Chibok schoolgirls in 2014. He recalled that Boko Haram insurgents in 2014 invaded a girls’ school in Chibok, Borno State, kidnapping over 200 students, noting that 100 of the victims are still with the terror group. “As we have said many times since the abduction of the Dapchi schoolgirls, no government is exempted from its own share of tragedies. What makes the difference is the way such tragedies are managed. “Whereas it took the PDP all of 18 days to even acknowledge the abduction of the Chibok girls in 2014, the APC Federal Government acted promptly and responsively when the Dapchi schoolgirls were abducted 19 Feb. 2018, hence their quick release,” the Minister said. 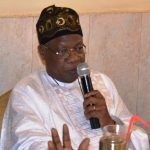 Alhaji Mohammed reiterated that it was unfortunate that the PDP that “failed woefully” as a ruling party has also failed grievously as an opposition party, going by its insensitive and crude response to the release of the Dapchi schoolgirls – a development that calls for non-partisan celebration. He said:”In its 16 years in power, the PDP redefined governance as cluelessness, massive looting of the public treasury and crude exhibition of power. In its over three years in opposition, the PDP has again shown it does not understand the role of the opposition in a democracy. How then can the PDP convince Nigerians that it has learnt its lessons and that it is ready to rule the country again? Nigerians must say ‘never again’ to this primitive and soulless party”. Alhaji Mohammed however added the FG its rules ”this time because the PDP over-reached itself and scored an own goal at a time it could simply have congratulated the government and people of Nigeria on the release of the girls or just keep quiet”. 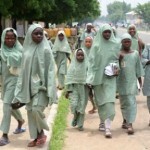 FG Spokesman assured Nigerians that the administration would intensify the ongoing efforts to secure the release of the remaining Chibok girls and return them safely to their families, just like over 100 other Chibok girls who have so far been released.